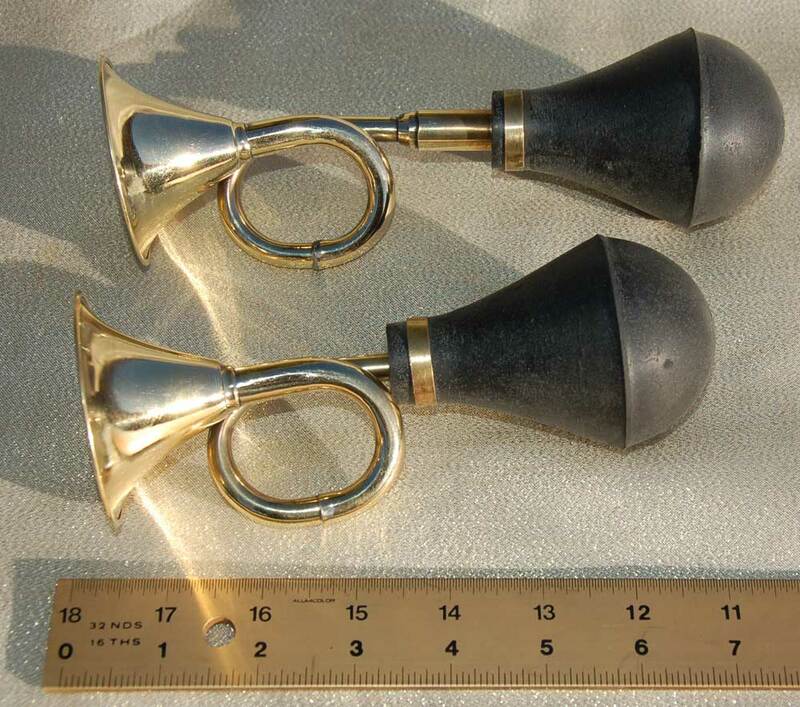 Small, 7 inch nickel plated squeeze horn. I show two here so you can see they’re not exactly the same. One 7″ nickel-plated squeeze horn. $19. Free US Shipping. Includes 1 attaching bracket. Hi! I received a squeeze horn from a friend who bought it in Paris for me – for my bike. It honked a few times and then it stopped. I felt something rolling around inside the bulb. I figured out how to open it up and found a piece that seemed like it was supposed to be attached to the metal part of the horn. So, I reattached it, and attached the bulb, but no honk. Just air. Any ideas on how to fix this?